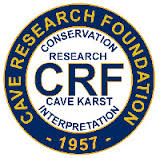 Cave Research Foundation is a private, non-profit organization dedicated to: facilitating research, management and interpretation of caves and karst resources; forming partnerships to study, protect and preserve cave resources and karst areas; and promoting the long term conservation of caves and karst ecosystems. Cave Conservancy of the Virginias (CCV) is a nonprofit organization established in 1980 for the purpose of protecting and managing caves and karst resources in Virginia and West Virginia and is based in Richmond, Virginia. CCV membership is made up of people from all walks of life that recognize the importance of karst resources to water quality and the need to protect the fragile environment of caves so that the many unique species that can survive nowhere else may be preserved for study and enjoyment by future generations. The mission of the Cave Conservancy foundation is to promote and facilitate the conservation, management, and knowledge of cave and karst resources. 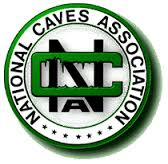 The National Caves Association is a non-profit trade association founded in 1965 by a small group of private show cave owners. 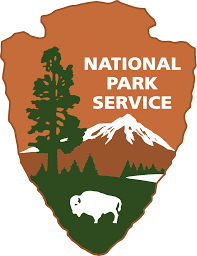 The National Caves Association has been active in promoting cave visitation, developing affordable cave insurance programs, helping develop and implement industry standards on alpha radiation in caves, educating the public on White Nose Syndrome (WNS), and has become a repository of information on a wide variety of topics related to the show cave industry. The National Park Service manages some of the world's most amazing places. This includes over 4,700 caves with at least four of these that extend for more than 135 miles and are so complex that the casual visitor would be lost among the hundreds of passages to choose from. This also includes karst, a type of landform where sinkholes, sinking streams, and springs are considered normal features and are indicative of the relationship found between the surface and the underground. The Indiana Karst Conservancy (IKC) is dedicated to the preservation and conservation of Indiana's unique karst features. 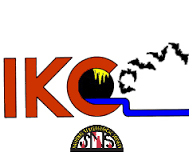 The IKC was formed by concerned individuals when it became apparent that no similar group was actively protecting such features for their inherent geological, biological, and historical importance. The purposes of the IKC are the management, protection, and acquisition of the karst areas in southern Indiana. The IKC also supports research and promotes education related to karst and its appropriate use. Many of today's abuses in karst areas arise from lack of understanding and knowledge. The US Geological Survey provides science about the natural hazards that threaten lives and livelihoods; the water, energy, minerals, and other natural resources we rely on; the health of our ecosystems and environment; and the impacts of climate and land-use change. With 10,000 members and 250 grottos (chapters), the National Speleological Society (NSS) is the largest organization in the world working every day to further the exploration, study, and protection of caves and their environments, and foster fellowship among cavers. For over 70 years, the NSS has promoted safe and responsible caving practices, effective cave and karst management, speleology, and conservation. Our members are bound together by their love of caves and caving and their desire to learn about the underground wilderness and protect it for future generations. The USDA Forest Service, Prince William Network and partners bring nature learning to you through our series of webcasts, webinars, and online education resources. No matter where you are in the world, visit our LIVE programs for exciting, on-site learning about grasslands, climate change, fresh water, bats, butterflies, wetlands, and more! The goal of the Forest Service’s cave and karst resource management program is to protect and maintain the biologic, geologic, mineralogical, paleontological, hydrologic, cultural, educational, scientific, and recreational values of caves and karst resources. Project Underground is a national educational training program that promotes public involvement and increases public awareness about karst areas and the land use issues unique to these areas. Developed in Virginia, Project Underground explains how to teach about karst resources in the classroom. Check out Dave Bunnell’s collection of cave photographs. Crawford Hydrology Laboratory provides professional consulting and field and laboratory services regarding groundwater tracing in karst and non-karst areas. The lab specializes in groundwater investigations with the use of fluorescent dyes and utilizes techniques it developed and enhanced over the past 38 years. Crawford Hydrology Laboratory provides quality supplies and analyses for groundwater traces and conducts full field investigations. Luray Caverns located near Luray, Virginia, has drawn many visitors since its discovery in 1878. The underground cavern system is generously adorned with speleothems such as columns, mud flows, stalactites, stalagmites, flowstone, and mirrored pools. The caverns are perhaps best known for the Great Stalacpipe Organ, which makes music by gently tapping stalactites. Since 1910, members of the Society for the Exploration of Caves Ljubljana have been exploring the mysterious world of caves, documenting them,and actively engaging in their protection.At research excursions and camps,we researched and recorded about 3000 caves or one third of all known caves in Slovenia. Caving is a group activity. 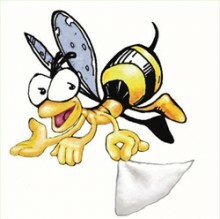 Members of the Society are Doctorsof Science, recognized experts, students, workers, farmers and pensioners of different ages and genders, who are connected by the desire to explore the unknown.